Alma Latina Dance Company San Diego will be having their 2nd social at their new studio location! The first one was a success and everyone gave them great reviews about their new location! So, if you missed the first social, come check it out for yourself in your favorite school boy/girl attire! We will be having a Jack & Jill contest where two lucky winners will be winning a ticket, each, to next month's Carnival Boat Cruise party in San Diego (a ticket value of $59 each!!!) No partner required for contest! Performances by rueda casino team. enRuedame Mas, Majesty In Motion, and special presentation by Ivette Bogarin one of her young students, Isabella, have been confirmed! Awesome!!! Yours truly, as DJ Nox, will be in the mix! Save the date and please share! 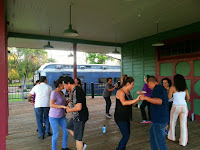 Alma Latina San Diego will be having a guest instructor for Saturday's social. Our guest will be Maritza Baida from the team, enRuedame Mas. Maritza will be teaching a Basic Fundamentals de Casino class from 8pm to 9pm! Welcome Maritza! HOW TO PLAN: Optional - dress in Back to School Harry Potter themed attire. We are taking it outside to dance to Cuban music at Moonlight Beach. Our August installment of Casino on AstroTurf will be on Saturday, August 27th at Moonlight Beach. 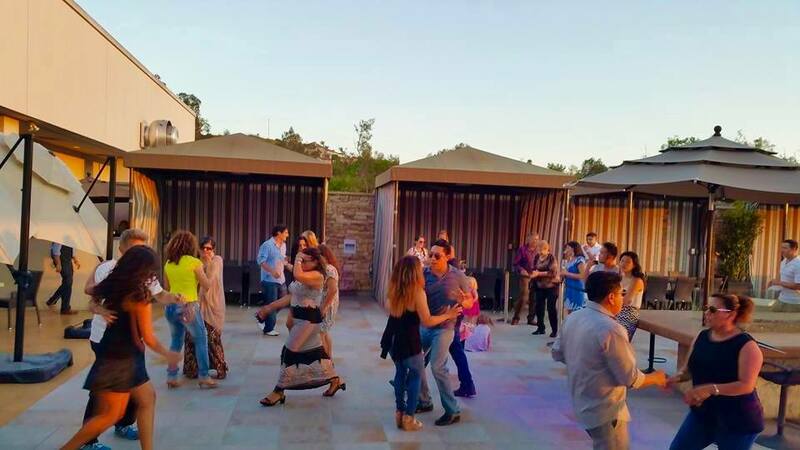 Join us for some fun ruedas, salsa suelta and on-on-one casino dancing. Bring your camera to capture the sunset while we dance. 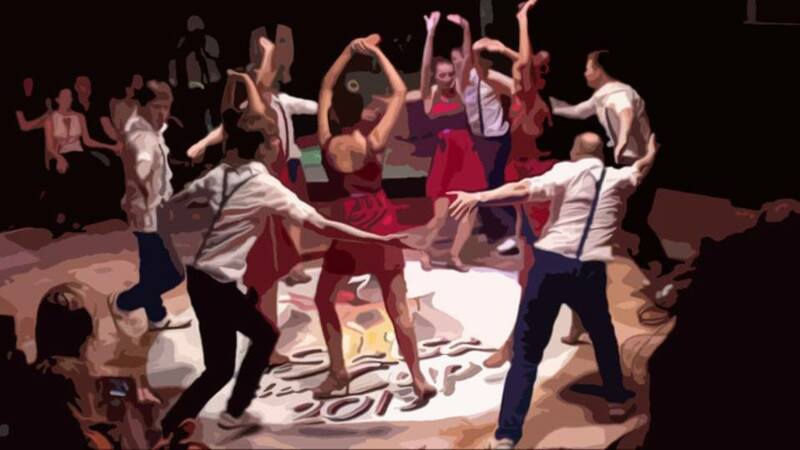 Come join the salsa suelta line dances and rueda de casino and just one-on-one casino dancing. HOW TO PREPARE: Wear layers, flat shoes you don't mind scuffing. We will be on concrete with some sand. Bring water and some snacks to share. We will go have a late dinner together afterwards! Come dance and break bread together. 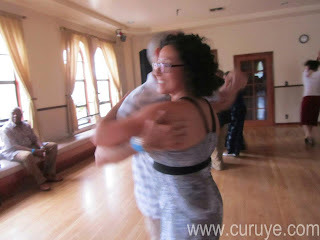 Free rueda class at Level 3 beginner level/Intermediate Level 1. COST: Admission fee is $15.00 buy your tickets online by clicking this link. ***We will celebrate the Co-Host of Cubamania, Robert Morales' BIRTHDAY!!! *** He will teach a Rueda de Casino Class and we will also do a mega rueda!!! *** LIVE MUSIC BY SitaraSon including Lazaro Galarraga! ***Cuba Swift AS OUR MC! "YA TU SABE!" IT'S A PARTY NOW! ***And, AS ALWAYS, WE WILL BURN THE DANCE FLOOR WITH Deejay Warapo's BEST CUBAN SALSA/SON, TIMBA, RUMBA, CUBATON, AND MORE!!! BE READY FOR AN AWESOME PARTY A LO CUBANO!!! 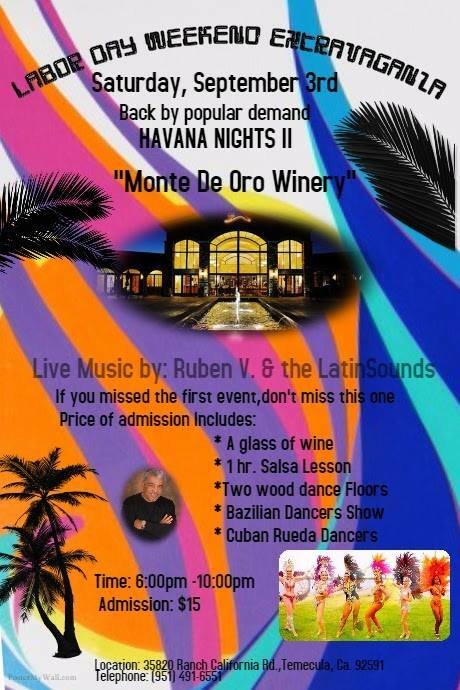 Let's get together to dance when Manny is playing at Harborfest and ge our rueda on!! 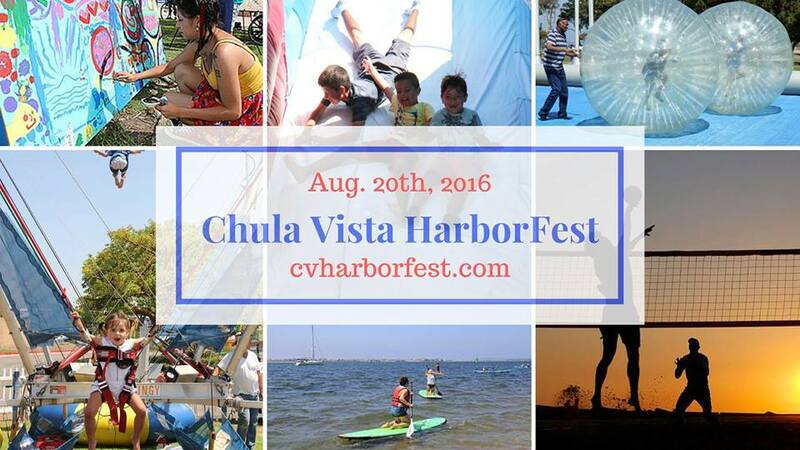 Click this link to see the Harborfest map layout of the park. 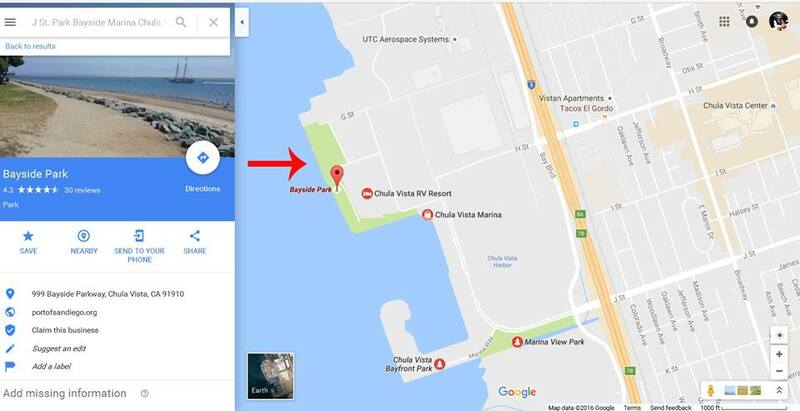 PARKING: There is a free shuttle if you park in certain areas and there is also parking closest to the festival for $10. Click this link to get details. 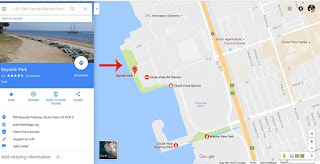 Rodrigo Tamayo, former rueda instructor is now looking to start up a new Rueda de Casino class in Chula Vista, for anyone interested, Sunday Aug 21 at 3pm J St Marina (North side) this class will be FREE but want everyone to bring something to share (potluck) drinks and snacks. Looking to have fun with you all and primarily want to do a beginner's class, Great time to get started for all those folks that have been requesting this, and if its been a while, then come on back to the crazy Cuban madness and fun. Back to basics and fun. Like the good old days. See you next Sunday / Funday!!! HOW TO PREPARE: Wear comfortable flat shoes, old sneakers work, bring a dish to share, sunblock a hat and water. Come join us! Salsa,Timba, Bachata, Merengue. Come for Happy Hour (the food and drinks are sooo good). $7 drinks and $7 appetizers! Click this link for the menu. The last one we had was so much fun and there was way more timba played so it will happen again. There will be a rueda de casino beginners basics class led by Maritza Baida. We know you wanted timba so Maritza and DJ Ortega have assured there will be more timba this time. Last year was the first year they had this event and it was a blast. It's free to the public so we plan to have our rueda practice at this place. Get ready to do some awesome ruedas and capture the fun happy vibe in Esco (Escondido). 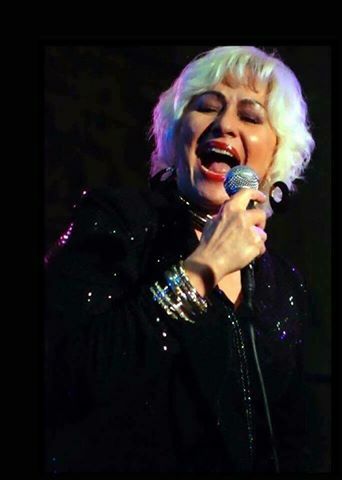 Come and see a rare San Diego appearance by The Amazing Cuban Singer Candi Sosa!! Backed up by Sexteto Sonero Del Caribe! Playing some great traditional Son Cubano!! Come dance the night away! This will sellout! This is a Chevere Productions event. COST: $20 ($21.69 w/service fee) online tickets are available at http://noche-cubana.bpt.me until 5PM PST on the evening of the event. If the show has not reached full capacity, the remaining tickets will be available at the door for $25. 21+ only. 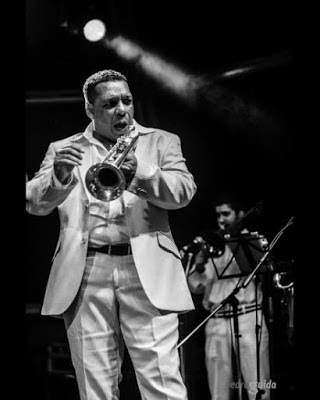 Jesús Alemañy, founder of Latin orchestra ¡Cubanismo!, achieved fame as the brilliant 15-year-old trumpet player for the iconic Cuban son group Sierra Maestra. His all-star band performs sizzling dance tunes that recall the vintage big-band sound, traditional rumba, cha-cha, danzon, and pa’ca rhythms arranged in the descarga (jam) tradition developed by Cuban jazz players of the 1940s. WHAT: Live music from ¡Cubanismo! 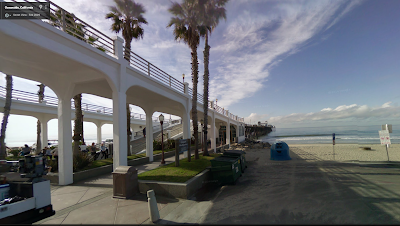 PARKING: Hopkins Parking Structure on Voigt Dr. La Jolla, CA 92093. Parking permit pay stations are located on every level. We are loving the strong interest for learning rueda de casino here in San Diego. People have been asking me when am I going to teach a beginner level 1 for brand new dancers. Because I teach in a cohort lock-step format, newbies have to wait at least 4 month if they don't get on the rueda dance train. One month for level 1, one month for Level 2, one month for level 3 one month for performance training. See my curriculum in my CasinoRueda Links page on the blog. So for those who want to learn the basics in a rueda (to include guapea, dile que no, pal medio, and enchufla footwork drills), then come to this 2-hour crash course. This is not to substitute for formal training but at last you can get some footwork ready for San Diego Cuban Dance Congress On October 13-16, 2016 where they offer a Beginners Track for 3 days taught by a variety of Casino/rueda instructors from all over the US and the local instructors of SD. This is a catch-up session and I treat it as a workout session using repetition and coaching you to walk forward in your initial steps and basic body movements for Cuban dancing. Great news!! A new local timba band is going to play in San Marcos this Thursday! So excited. I heard them play a few weeks ago and they were really good! Great sounds and you will definitely feel like breaking out into salsa suelta, dance casino and rueda on the dance floor. There is another group playing as well, Sonora Dynamita a famous cumbia band so expect an integrated night of music. Come support this Q-Ban Street Band. I think you will all like their sound a lot! One of their band members grew up with Maykel Blanco and is an incredible musician. Their singers are awesome, has the flavor of Charanga Habanera so they have great stage presence. WHEN: Thursday, August 11, 2016 9pm-10pm is a bachata class, then the DJ music plays bachata/cumbia, when Q-Ban Street Band plays , that is when the timba will happen. It's that time to self-register for Maritza's Beginner Level 3/Intermediate Level 1 class. Yes, this is a combination class because of the level that has already started, they are picking it up fast. 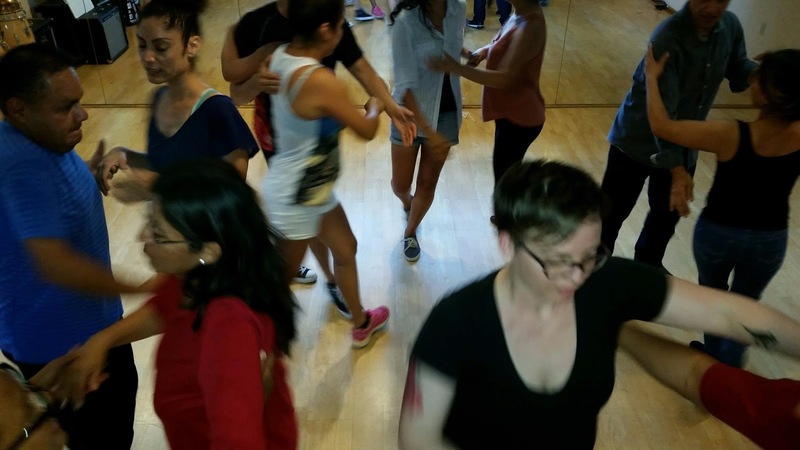 This class will bring together the 11 basic footwork/casino moves and add-on moves to make group moves and social dancing moves, keeping it basic so you can apply it to social settings. WHAT: Maritza's Rueda de Casino Class Series - This is lock-step series, Tuesdays is instruction & Fridays is a practice of Tuesdays instruction and maybe some new stuff. COST: $40.00 please register on this link and pay on the first day of class (cash only please). The registration helps to determine an accurate head count of leads and follows.